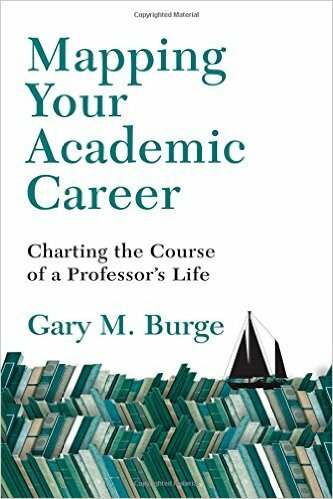 Recently, I received a review copy of a new title that came out this year, Gary Burge’s Mapping Your Academic Career: Charting the Course of a Professor’s Life. Burge is Professor of New Testament at Wheaton College. Thanks to IVP for sending the copy! Now I am keenly aware this won’t be a book to sell many copies in the popular market. But anyone involved in academia, and particularly Christian academic settings, this book can provide some helpful insights for one’s career as a professor. In this 120-page book, Dr. Burge’s ultimate goal is to provide a way to prepare faculty within the academy for a positive and successful career over their years within the academic institutions. In particular, he maps the academic career through 3 cohorts, or stages, that he sees existing within our academic life. Those 3 stages of development can be see in the chart below. In addressing these 3 stages, Burge answers questions that he sees as pertinent to each stage, ones that we are all asking as we move towards security, success, and significance. Here lies a short and easy-to-read book about how academicians can thrive in the academy. Thanks to Dr. Burge and IVP. This entry was tagged academic, book reviews, books. Bookmark the permalink.